Could be Oakland's last chance to keep the A's. The Oakland City Council will vote Tuesday on whether to approve spending up to $750,000 on an environmental impact study for a new A's baseball stadium. The proposed site at Victory Square would hold a 39,000-seat stadium just a few blocks south of Jack London Square along the city's waterfront. And if Oakland doesn't start an environmental study soon, it could lose its opportunity to keep the team. "We'd be out of the running," City Council President Jane Brunner said. There have been rumors that MLB will make the A's stay put, but A's owner Lew Wolff has also considered building the new stadium in San Jose. Fremont used to be an option but it didn't work out. 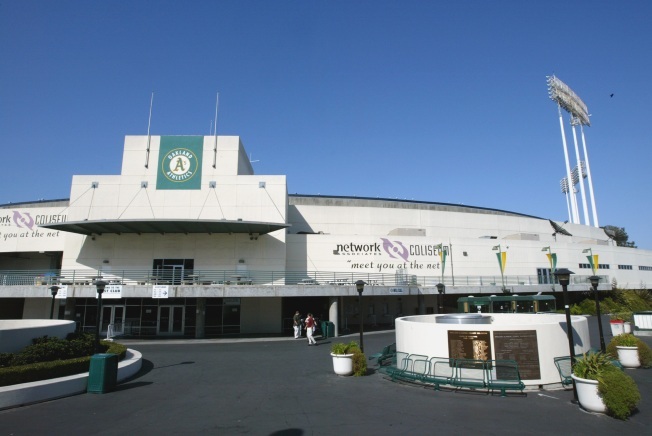 The A's have played at the Oakland Coliseum since they moved from Kansas City in 1968. Some people are calling the study a futile attempt by Oakland when MLB hasn't made a commitment. If the stadium is built, nearby development could include up to 180,000-square-feet of retail, 540,000-square-feet of office space and up to 700 residential units. The council's community and economic development committee voted 3-1 last week in favor of conducting the study. Councilman Ignacio De La Fuente was the only vote against it.